Metro news media is read by 9.8 million Australians, or more than half the population (53%), according to the latest emma (Enhanced Media Metrics Australia) data1 for January 2019, released today. 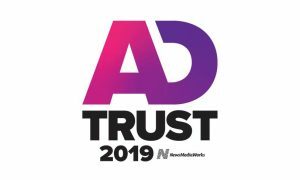 Digital news media is read by 15.7 million Australians, or 85% of the population and in print, newspapers are read by 11.9 million people, or 64% of the population. Regional and community newspapers are read by 5.5 million people, or almost a third of the population (30%). 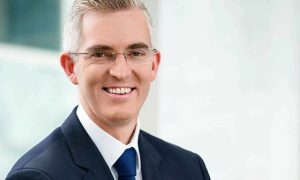 NewsMediaWorks CEO, Peter Miller, said: “News media continues to command large audiences across platforms. Readers of news media are clearly putting their faith in journalism that appears in trusted news brands. 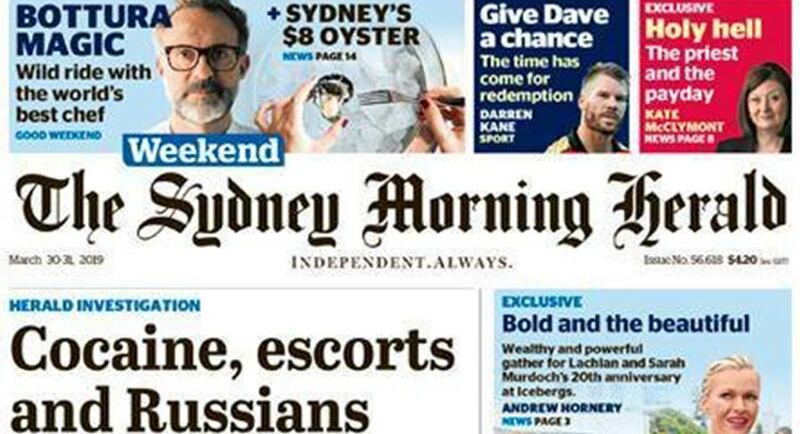 The Sydney Morning Herald is Australia’s highest-reaching title across all platforms with 8.08 million readers. 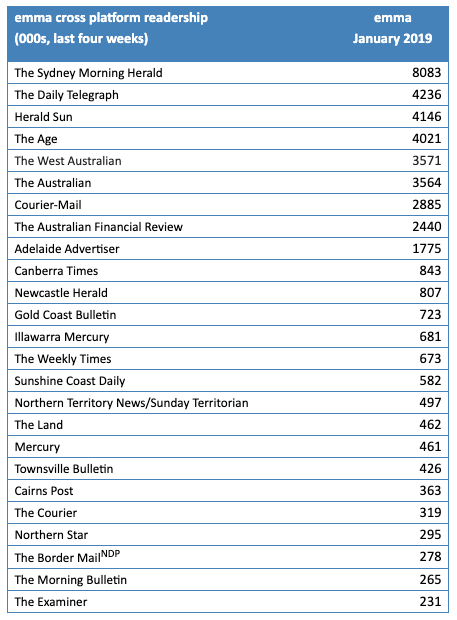 The Daily Telegraph followed, reaching 4.24 million readers and the Herald Sun with 4.15 million (see table below). All publishers saw their audiences up from the December data. The only change in the top five ranking was The West Australian jumping from #7 to #5 with its audience up from 2.35m to 3.57m. New to the top 10 this month is Canberra Times with readership on 843,000.